Full-day Program is 9:00am-3:00pm with the option to extend until 4:00pm. Extended-day Program is a 1/2 day session in addition to public school kindergarten. 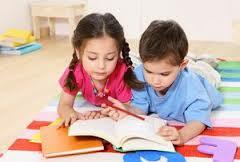 The kindergarten program focuses on preparing students for social and academic achievements. The program is comprehensive and includes Mathematics, Literacy, Social Studies, Science, and Arts. Children are exposed to: Singapore Math through the Dimensions program, Literacy through specialty programs including Raz-Kids, Scholastic News, Time for Kids (and more), Social Studies, Science and Arts are explored through STEAM, Enrichment and other specialty programs.